In some homes, indoor comfort comes with side effects. Many people find that when they use their central air conditioning or heating systems, allergies, headaches and cold symptoms seem to worsen. Unfortunately, air conditioning coils are dark and damp, offering the perfect environment for the growth of harmful bacteria, fungi and molds. So in establishing a comfortable temperature, homeowners can unwittingly create unhealthy air. UV Light Systems are a remarkably effective means of arresting this bacterial growth. The unit emits a germicidal ultraviolet frequency that penetrates the cell walls of detrimental microbes, permanently neutralizing any ill effects. And better health isn't the sole benefit. When mold or similar microbes have been reduced, the heating and air condition system efficiency often improves, saving you money on operating costs. The UVsingle lamp unit emits Ultraviolet light at 253.7 nanometers - the optimum light frequency in combating the bacteria that commonly infest air conditioners. Placed directly above the unit’s coils, the existing growth and prevents recurrence. The HVAC UV lights have been designed to give you complete peace of mind. Germicidal UV-C applied to your central air system is a safe, economical, chemical-free way to significantly reduce airborne contaminants. 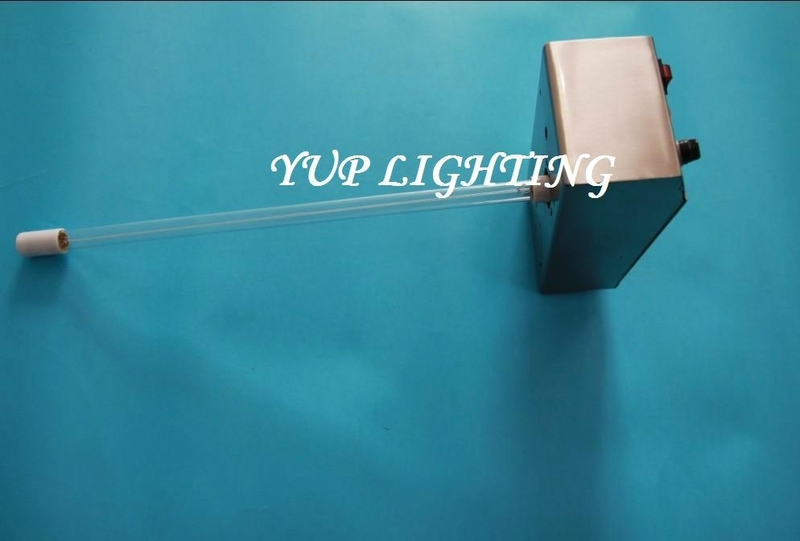 High-Output, Long-Life UV-C Lamps. 60 Watts per bulb. Power Switch and External Fuse. Suitable for slab coil applications of three tons and 1200 CFM or less, or where space permits only a single lamp. Dimensions - 6-7/8" L x 11-1/8" W x 2-1/16" H - UV Bulb extends 15" from unit. NOTE: - Professional Installation Recommended. UV lights are installed within the HVAC system. Select a mounting location that will allow enough clearance for the lamp to be installed and replaced easily. The light may be mounted vertically or horizontally within the HVAC system. For 240V electrical outlets, an optional power cord must be purchased. Any modification to the supplied power cord will void UL safety listing and manufacturers warranty.